Writing activities and working with words — it seems pretty easy. However, some students can belabor over the right ones for so long that they end up jotting down nothing. The fear of scrawling down the wrong thing can paralyze some students. The best strategy to get students moving the pencil across the paper is to share the writing process with them. Students can scribble down anything they want when brainstorming. Nothing is “wrong.” It helps them to start writing and to place something on the paper. If a student seems to still be “stuck,” he or she can work with a partner to brainstorm ideas. Two heads are always better than one. Or, if the whole class seems to be struggling, a teacher can brainstorm ideas on the board with the entire class. Once students have a page filled up with ideas from their brainstorming, they need to make the leap to organize the “good stuff” into an outline, cluster graphic organizer, or web graphic organizer to write a first draft. It is really helpful if teachers model this process on the board or projector. After a first draft or rough draft is completed, they can revise and edit to compose a draft for submission. This is sometimes called the final copy. However, when is the last draft really the final copy? 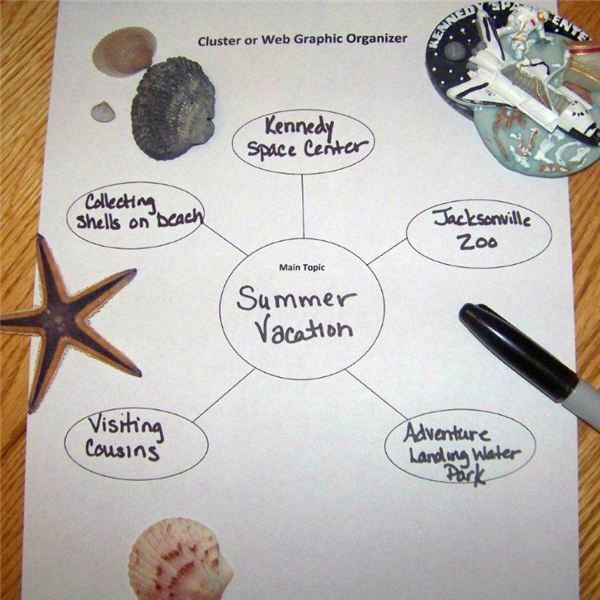 Graphic organizers are a great tool to help students organize their ideas. These circles, squares and squiggly lines can help jump-start many students. Graphic organizers come in all shapes and sizes. In addition, there is probably a graphic organizer for every type of writing assignment somewhere on the Internet. Two students can use a T-chart to jot down ideas. At the top of the T, the students should choose a topic. On one side a student can write an idea and then another student can choose an idea that connects to it or visa-versa. Students should try to fill up the T-chart and then talk about ideas for their papers. Each student should be able to pick one great idea from the completed T-chart. Some students may be afraid to use the same idea. However, if each student takes a different approach or angle, then each should have a different paper. 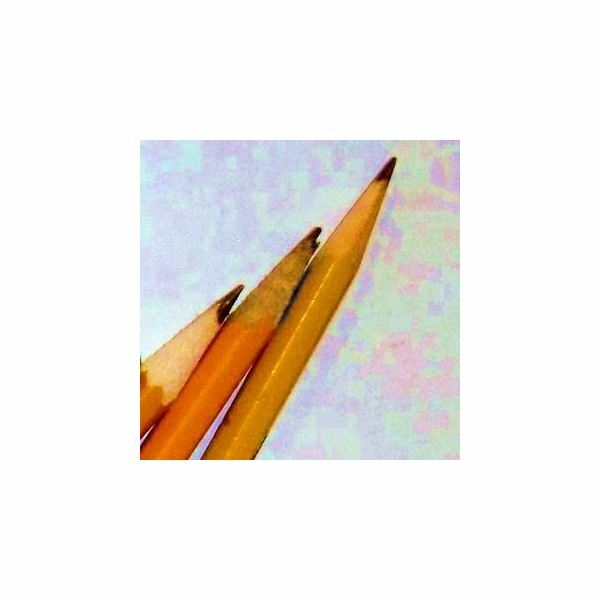 While some students struggle to move their pencil across the paper, there seems to be the polar opposite problem of students writing too much. However, the never ending essay or the story that just won’t end is the most difficult to grade. These pieces are sometimes downright painful for the teacher to read. In addition, quite a bit of ink and precious time goes into showing students how to be more concise. Word choice is so important in writing. Many students race to fill up the page but do not think about the words filling the page. They are going for quantity not quality. However, just getting anything down is a major success for those stuck with writer’s block. Once students are able to write their ideas into paragraphs, they need to be thoughtful of choosing words for tone, overusing words, eliminating weak words, and eliminating wordiness. Many students who are “wordy” do not even know they are until a teacher points it out to them. To have an “ah-hah” moment in class, share some wordy excerpts from recently completed essays or stories on the board or project them on a screen. It is important that the teacher does reveal the authors of these wordy excerpts. It is also advisable to have several examples so that a student does not feel that he or she is being singled out in class. Next, the teacher should have the class come up with ideas on how to be more concise. Students can offer different suggestions on how to eliminate the “fluff” or extra words. My bicycle is blue and it has silver stripes. It also has wide tires. In the garage next to my skates, football, basketballs, hockey equipment and baseball bat, I park it every night. My blue bike with silver stripes and wide tires is parked next to my sports equipment every night. In this example, three sentences were combined into one. Taking a class period to address wordiness can really pay off in the next writing assignment because students will be more thoughtful about the specific words that they write. In addition, they can see that they can write with many words in a draft and then revise and edit the piece to be more concise later for a final draft.